Whether you are a first time homebuyer or a seasoned investor, buying or selling your home can be a complicated and multi-faceted endeavor. Jeanne funnels her real estate knowledge, design talents, dedication, attention to detail and enthusiasm into creating customized solutions to meet your needs and guide you through the process from start to finish. Her client-centered focus has earned her clients’ trust for many years. 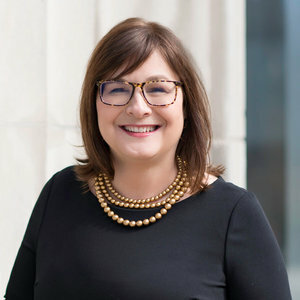 Since 2002, Jeanne has owned and operated a full-service Interior Design Company through which she is able to provide a full range of design, interior construction, and project management offerings to clients throughout the Chicagoland area. Jeanne takes great pride in having built her business entirely on referrals. In 2016, Jeanne added her Illinois Real Estate Brokers license to round-out her comprehensive list of services. Leveraging her design and construction experience helps buyers discover hidden potential in properties and get them maximum value on their purchase. She aids sellers in getting top dollar on the sale of their home through custom marketing plans and design strategies. This can-do, value-added approach is why Jeanne and her clients enjoy long standing relationships and her clients continue to refer her to their friends and family.